In 1974, as a bright-eyed and busy-tailed wanna-be rallyist in South Africa, I first set eyes on Ove Andersson. The Swede, already a legend in international rally circles after winning the previous year's Rallye Monte Carlo, had become a regular visitor to southern Africa after entering the 1971 Total Rally in a Renault 12, with then-wife Liz Nystrom making the trip to co-drive Pat Moss-Carlsson. Ove was in a pristine blue and white Toyota Celica (the first model), and our paths crossed at a refuel stop/lengthy halt in Swaziland. He was, of course, Car 1 on the road; I was so far back I was lonely, and recall that I did not finish, whereas he went on to win. This contrast later became a standing joke between us. However, a good friend, Roger Houghton, subsequently befriended Ove and maintained contact with the burly Swede over the years, a task made easier by Roger's responsibility for Toyota SA's public affairs. His life was made infinitely easier by the company's superb results in world rallying after the founding of Andersson Motorsport in Brussels in 1975 to campaign Toyota products. 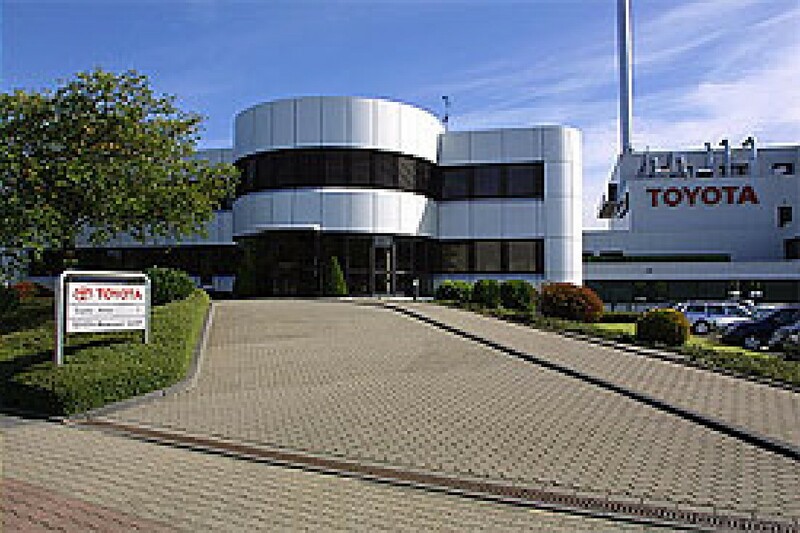 That mutated into Team Toyota Europe, which begat Toyota Motorsport GmbH - today operating as Toyota F1. Along the way various driver and manufacturer world rally championship titles were clinched, plus the operation contested Le Mans, just missing out on victory in the 1999 race - where I again caught up with Ove - through a burst tyre in the 22nd hour. Through Roger I kept up to speed on Ove, occasionally bumping into him whilst in South Africa - where he enthusiastically supported Toyota local motorsport programmes - and then, after a couple of delays, Toyota officially launched its F1 programme at end-2001. There I again caught up with him, and was struck by how down to earth he was on this most momentous of personal milestones. 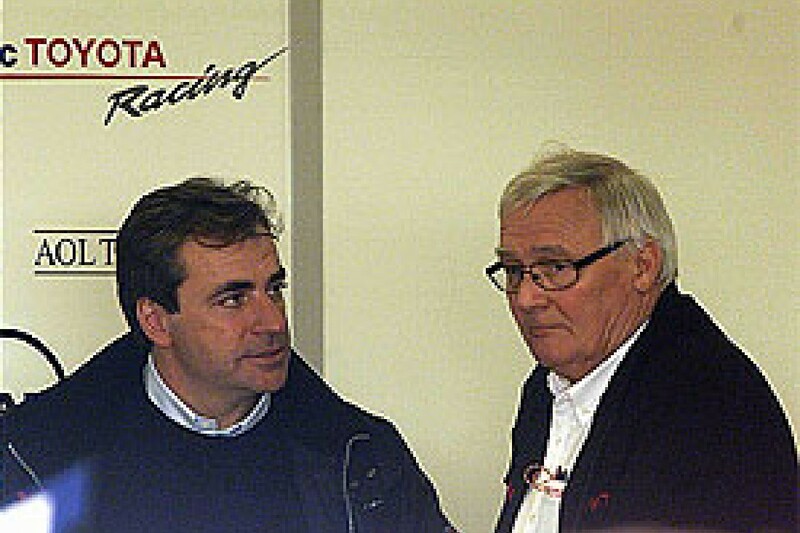 Although he relinquished direct responsibility for TMG upon reaching Toyota's mandatory retirement age of 65 two years later (he shares his birth date of 3 January with a certain M Schumacher), he remained a consultant to the team, and thus he and I chatted regularly in paddocks across the world. In fact, in Spain two years ago I was asked by a Toyota Media Officer to stop by and see Ove in the Toyota motorhome. I wracked my brain as to what I could possibly have written that may have caused offence, and wandered across as I did so. It turned out he wanted nothing other than to enjoy Saturday lunch whilst talking South Africa with me. It was then that I grasped his love for my country, although I was ultimately to learn there was a deeper reason for his regular trips to the tip of Africa. Then, last September whilst visiting TMG, I was called aside by Ove to be told he had bought a safari lodge on South Africa's Eastern Cape coast, and would be retiring there at season's end. He promised to divulge more during his last (official) Grand Prix visit at (Toyota-owned) Fuji Raceway. There, on race day, we had breakfast together, and Ove allowed me to record the conversation for publication. As history records, the race was absolutely chaotic, but set Lewis Hamilton up for the championship, which chance he then blew in China - delivering a three-way fight in Brazil. This interview, during which he exclusively revealed that the German judicial authorities had decided to drop the investigation in the Toyota/Ferrari spygate matter, is believed to be the last official interview granted by Ove. Shortly after the Brazilian Grand Prix, I visited my home country, and discovered that a classic rally commemorating the Total Rally's 50th anniversary had been organised. Who should be competing in the event but Ove and his co-driver of old, Arne Hertz, who flew out specifically for the occasion. They drove a Renault 8 which had seen better days, but still Ove wore his trademark enigmatic smile. We had lunch together, chewed fat and agreed that I would visit Ove and new partner Ronel - who he originally met when she co-drove a sister Renault 12 those many years ago, and resumed contact with when he contested an economy run for Toyota SA - at the lodge in December this year. Save for two brief calls - one to advise him of the outcome of the Renault spygate hearing; the other to wish him a happy 70th birthday - it was the last we spoke. 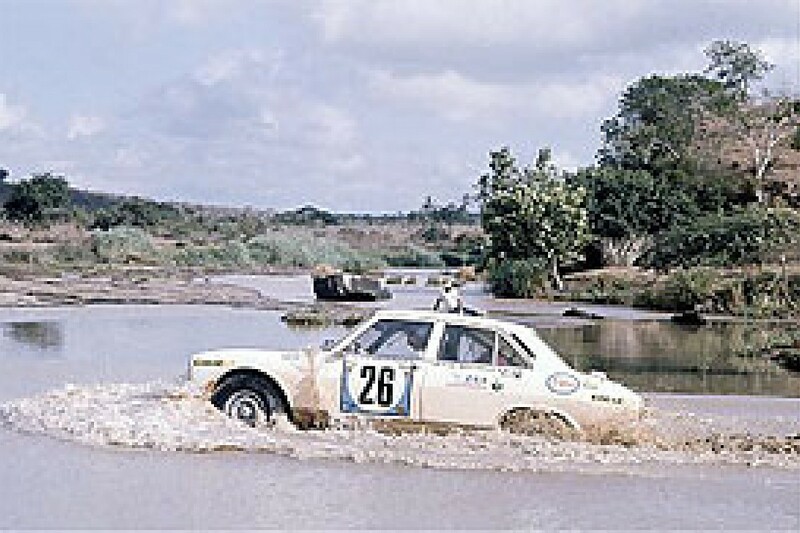 On Wednesday 11 June, Ove, known within Toyota as 'Paven' (Pope), was involved in an accident whilst contesting South Africa's premier classic rally, the Continental Milligan Trial. His 1957 Volvo P444 (Swedish built, of course) was hit by (ironically) a Toyota Corolla taxi, which overtook a truck on a blind bend. Ove suffered a massive heart attack in the ensuing head-on collision, and died instantly. His ashes will be scattered over his lodge on Thursday morning, June 19. 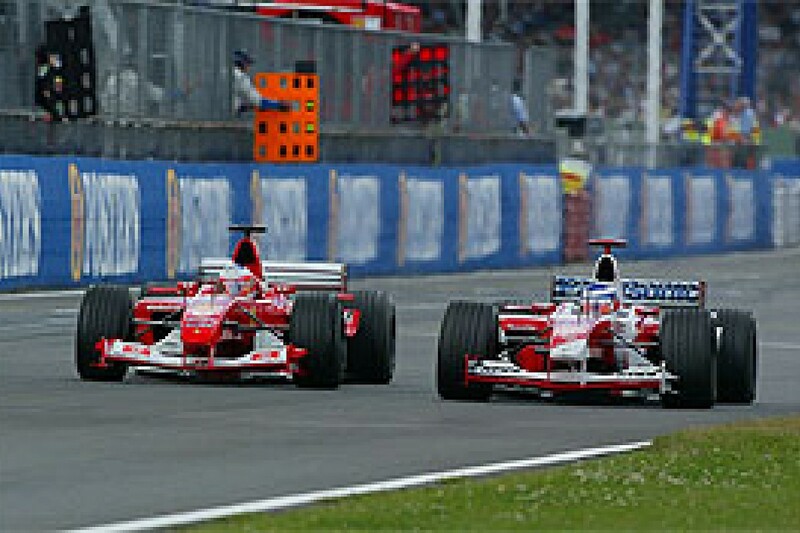 In the aftermath of the 2007 world championship showdown, the McLaren/Renault scandals and, later, the Mosley mess, there were more pressing stories to publish, and the interview sat dormant on my computer, although snippets (such as the dropped litigation matter) were released as general news items. Now the time has come to share it. Dieter Rencken: Ove, you mentioned earlier today that you were awaiting clarity on the Toyota spy case (in which Ferrari accused the Japanese team of incorporating Maranello intellectual property in its designs). Has it been dropped? Ove Andersson: "The situation is that the judge has dropped the case." DR: Is that the whole case, has it been dropped against everybody involved in the matter? Is there a chance it could be reopened? Andersson: "Against everybody, yes. I don't know enough about the law to say more, but in Germany it is certainly all over. In Italy I don't know." DR: Did the judge give any reasons? Andersson: "Obviously they decided it was not important enough..."
Andersson: "Certainly as a Toyota marketing representative it is my last Grand Prix." DR: How many Grands Prix have you done? Have you done all of them since Toyota entered in 2002? Andersson: "Not all of them, but many, too many [chuckles]. Let me see... [counts them up by year], so that is about 60, then, of course we did almost all of them the year before we entered. So that is another 15 I think, so about 75." Andersson: "Well, I think there have been some big changes since we actually decided to enter Formula One, maybe not such much from the minute we entered it, but certainly since we decided to go in and made our plans and what we finally ended up with doing to try and be competitive, yes, totally different." DR: When did the board give you permission to enter Formula One? Andersson: "The decision was taken in 1997, no, wait, 1998, and then it was officially announced at the beginning of 1999." Andersson: "We planned for 2001, but really, there was no way we could be in 2001. We started everything from scratch and there wasn't any chance, but we had to commit, and then pay a fine (actually it was a forfeited deposit of $11m) because of the rules that were in place." DR: What has been the biggest change you have experienced? Andersson: "It must be the rules, I mean the rules have changed a lot. When we started to race you had an engine for Friday, another one for Saturday and another one just for the race, and now you do basically two full race weekends with the same engine." DR: And now capacities have gone down too. Andersson: "Well, yes, and they were V10 when we started, now they are V8 and smaller. Our original plan had been to make a three-litre V12. Our calculations showed that that would be the way to go, and I think when the other teams got their nose on the fact that we were doing that, they had a meeting and decided to forbid V12 engines. 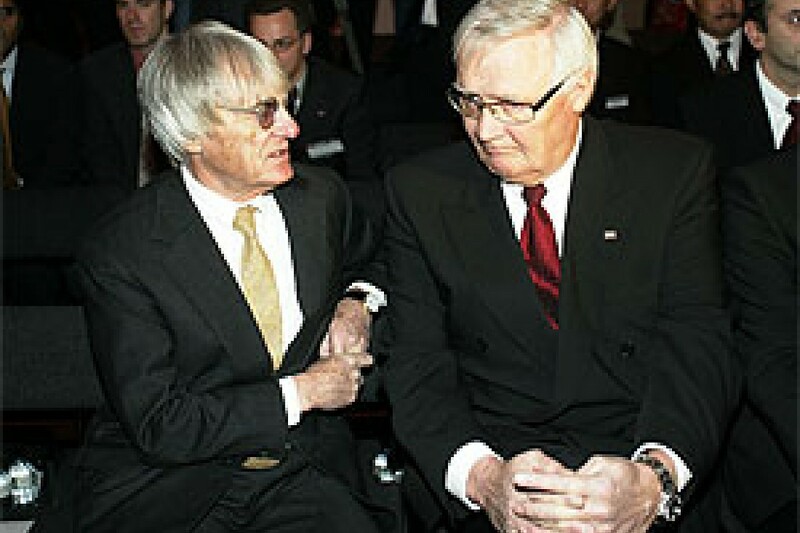 So Bernie (Ecclestone) called me and said 'I hope you are not too far down the line with your 12 cylinder because you will not allowed to use it. So luckily... I mean, everything was ready to go to casting and you know, all that... we could stop and had to do a V10." DR: What was your happiest moment? "After that Formula One was a bit of struggle as long as I was actively responsible, but I mean the fact... for me, myself, having gone from rally driving, to rally team, winning the world championships, (doing) Le Mans, and then in the end being able to set up the Formula One team, that was my moment. My dream had also been to experience a win, but in life you can't have everything..."
DR: When you started the Formula One team, what was the headcount? Andersson: "Well, the team at the time, when we, the team, did world rally and Le Mans there were about 250 people, and then the plan we had, the original plan we had was to get up and running in Formula One was to have about 450... when I left it was about 950. I left at the end of 2003." DR: Any idea what it (headcount) is now? Andersson: "I don't know whether we talk about that, because officially it is a lot less, but..."
DR: Will you still be attending races in future, or are you retiring full-time? Andersson: "My contract with Toyota is ending at the end of this year, and it is more than possible that I would like to visit one or the other race, but not in any kind of official capacity." DR: So, you would like to visit as a fan? Andersson: "As a fan, yes, and to see old friends and just to get the atmosphere." DR: If you ran Formula One, what would you change? Andersson: "In what sense? If would be running a team or..."
Andersson: "I would try to make it less complicated, and more straightforward than it is. I think the politics in Formula One (have) taken away a lot of the fun that could be in it." DR: Are the politics in Formula One that much worse than in world rallying? Andersson: "The way I know world rallying... I mean, of course we were competitive, but we were also friends, and I think the kind of knife in your back that you find in Formula One was not in world rallying when I did it, for sure not. We had fun together, and then we were competing in the forests." DR: And then back to fun again the next night? Shortly after our breakfast the rain-swept Grand Prix on Toyota's home circuit started; Toyota's two cars failed to score. It turned out to be the last F1 race attended by Ove Georg Andersson.